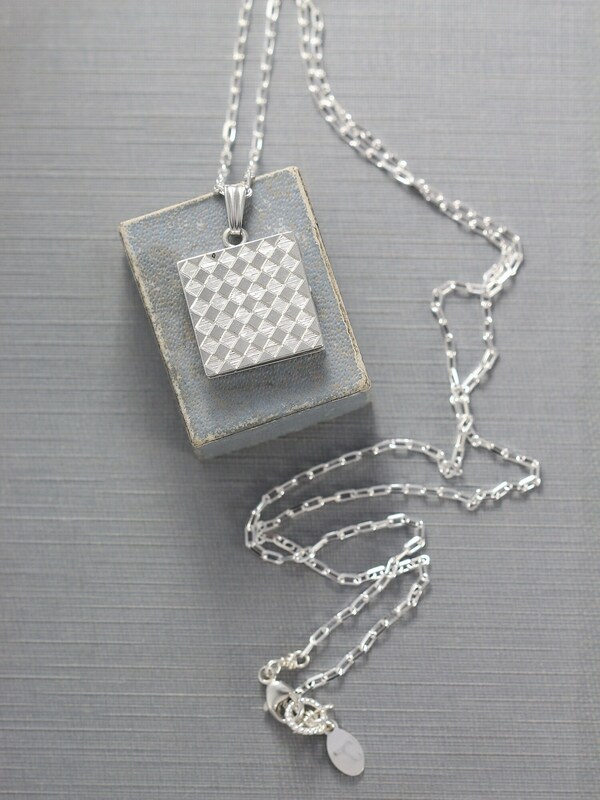 A unique square sterling silver locket is engraved with a unique harlequin or checkerboard like design. 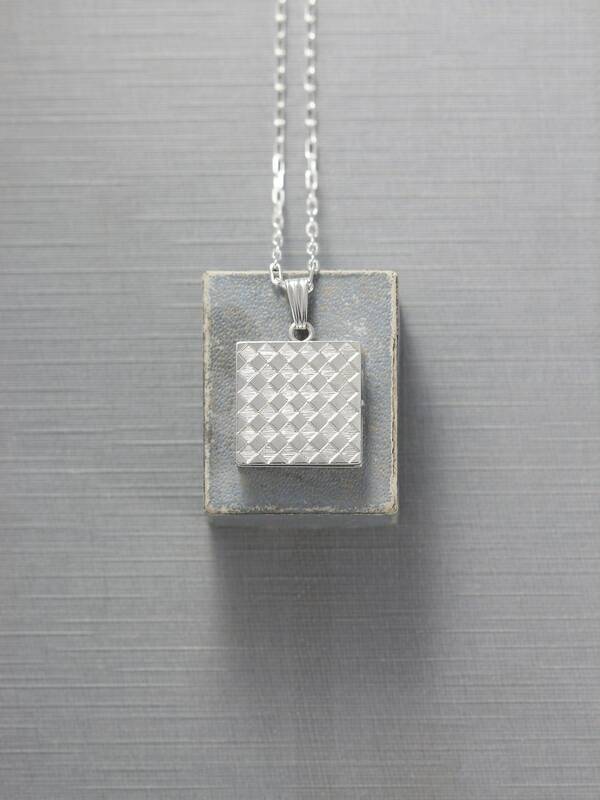 The pattern alternates between smooth polished and brushed matte diamonds. 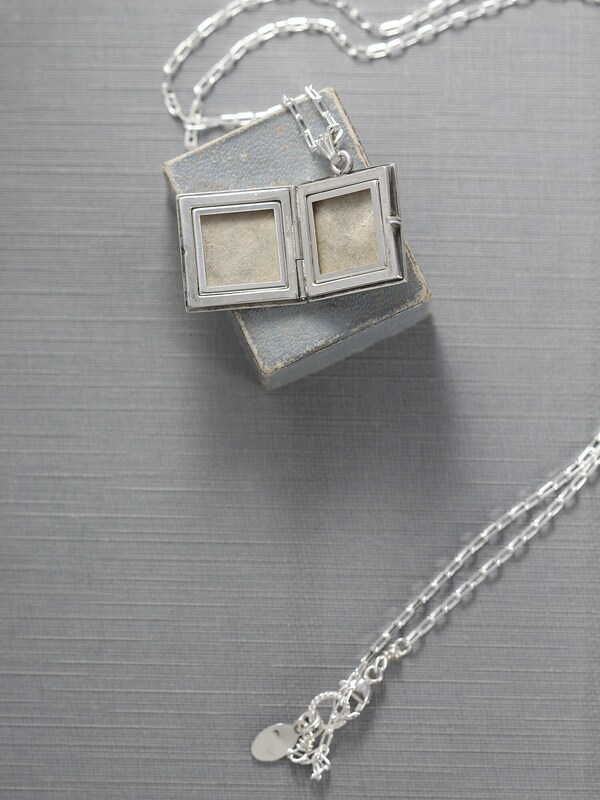 The locket opens to reveal two removable frames waiting to hold beloved photographs. 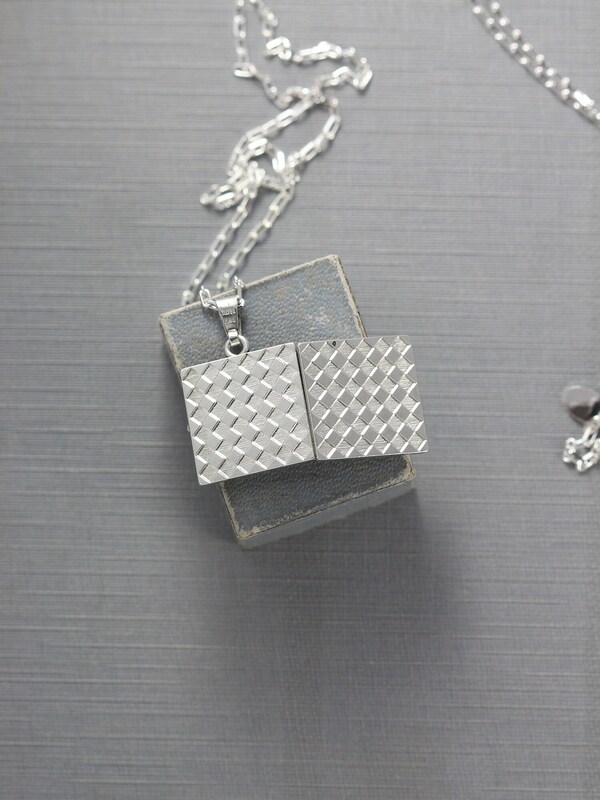 The design is set on a new sterling silver drawn cable chain hand finished with a trigger lobster clasp and ring. 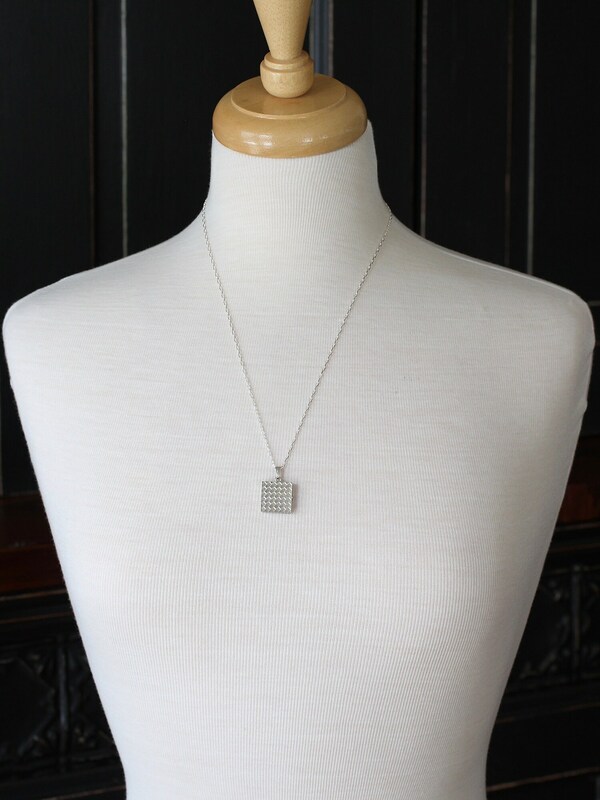 Stamped: maker's mark "K & L" and "sterling silver"